Word is apparently out about our ability to entertain people in remote regions of the world. Who’d have thought that one visit to Antarctica would have been our big breakthrough into polar show business? Yes, Leroy and I have been invited by the French government to stage a kind of variety evening for the 45 scientists and crew wintering at the Port-aux-Français research station in the Îles de la Désolation. While the invitation didn’t come from Emmanuel Macron himself, I’d like to think he had a hand in it. 3300 kilometres from Madagascar, in the middle of the southern Indian Ocean, the volcanic Desolation Islands are more commonly (but less poetically) known as the Kerguelen Islands. Interestingly, spellcheck just attempted to change ‘Kerguelen’ to ‘beleaguer’ — meaning to put in a very difficult situation. Very apt for this remote, windswept region in the Subantarctic. And when I say windswept, I mean it. While the average wind speed is 110km per hour, it’s common to experience 150km per hour winds. 200km gusts have also been recorded, approaching the level of a tropical cyclone. 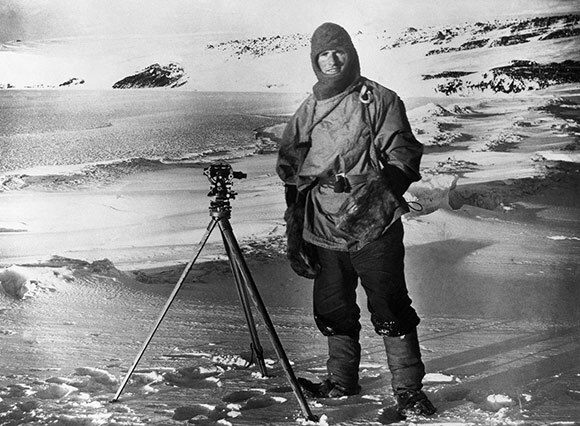 A hit in Antarctica, Leroy toyed with the idea of reprising his ‘Scott of the Antarctic‘ costume but quickly decided that might not go down as well in front of a French audience. The next obvious choice for emulation was the 18th century French navigator Yves-Joseph de Kerguelen-Trémarec, but a little more reading helped dismiss that idea as well. Apparently Kerguelen was commissioned by Louis XV to search for the great continent that was rumoured to exist south of the equator. Setting out from Mauritius in two ships in January 1772, they sailed through fog and storms and discovered the islands around a month later. Kerguelen didn’t even set foot on land, instead taking his damaged ship back to Mauritius for repair. The captain of the second ship, Charles Marc du Boisguehenneuc, annexed the islands in the name of the king, leaving a note to that effect that was later seen by Captain James Cook. 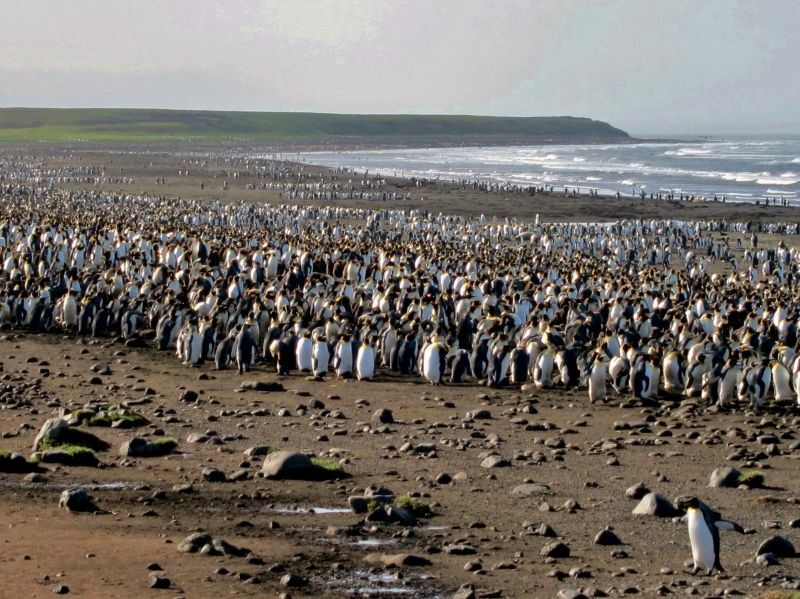 Arriving back in France, Kerguelen spun extremely tall stories about the islands: that they were inhabited and were burgeoning with forests, pastures and other riches. On the basis of these stories, he was granted a second commission. Once again, he didn’t set foot on the islands. He may have been able to fool the king once but on returning home the second time, was swiftly imprisoned in a château. He was released during the French Revolution as a ‘victim of the monarchy’. Once again, we were lucky with the weather. A top of 3°C might not sound particularly lucky, but the winds were forecast to be a comparatively gentle 34km/hour. We arrived at sunrise, only a few metres from a large southern elephant seal, who seemed a little startled by our sudden appearance. Slowly backing away as it raised its whiskery head, we surveyed the landscape. Rocky and completely treeless, the main island of Grande Terre held a kind of austere beauty. Elephant seals and fur seals, hunted to near-extinction in the 19th century, reclined on the rocks around us. All kinds of penguins twittered and chatted amongst themselves, seemingly unconcerned by the presence of humans. We saw a small figure waving to us from an outcrop in the distance and clambered awkwardly over the rocky ground towards it. The figure was Pascal, a botanist stationed here for the winter and our primary host for the day. As we made our way up to the base, Pascal explained a little of the history of the island and also about the research he was conducting on the Kerguelen cabbage. 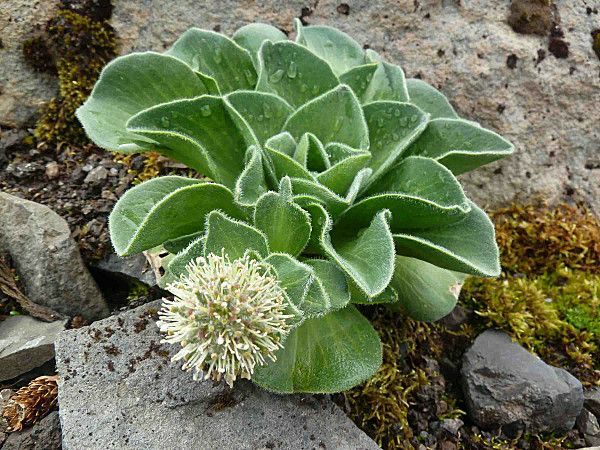 The cabbages, along with tussock grass and various mosses, are really the only plants found on the island. They’re very high in ascorbic acid (vitamin C) and were used by early sailors to stave off scurvy. 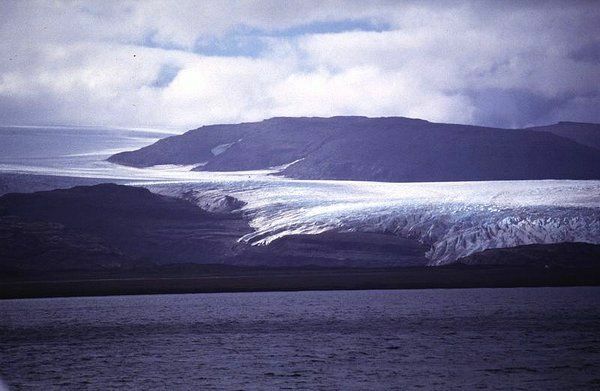 Pascal also told us about the Cook Ice Cap, a glacier covering around a third of the island. Pascal’s English was very good, but I was going to be relying on Leroy for any other translations required — always a little dangerous given his proclivity for mischief-making. We spent the morning meeting and chatting with many of the winter residents at the research station, and seeing where our all-star variety performance was going to be held. I was a little dismayed to hear that the entertainment committee had initially chosen the gym (‘we can push the machines to one side’) but we managed to persuade them that the pub would be a better location all round. We’ll just have time for a quick dash across to the other side of Grande Terre to see what remains of the huge basalt arch that collapsed into the sea in 1910, and then it’s all about the show. I have been practicing Frère Jacques — the only song I know in French — for my post-postmodern puppet show. We have also scheduled in slots for the scientists and crew, not all of them volunteers. It should be a hoot. That’s huée in French if you didn’t already know.